The WAPI Song Lyric Contest is part of the 2012 WA Poetry Festival and is coordinated by WA Poets Inc. (WAPI) at their discretion. A panel with considerable experience in music and poetry will be responsible for judging entries. All entries will be judged anonymously. The names of the Judging Panel will not be revealed to entrants until the presentation of the awards. The first prize is a voucher worth $150 redeemable at Crow Books, 900 Albany Highway, East Victoria Park. Second and third prizes may be awarded at the discretion of the Judging Panel and will consist of books and other publications donated by other sponsors of the Festival. The WAPI Song Lyric Contest is open to writers from anywhere and is subject to a fee of $6 per entry, an entry consisting of one song lyric. Members of the Committee of WA Poets Inc. and the Judging Panel are not eligible to enter. Entry fees are not refundable Writers may submit more than one entry. An entry form including entrant contact details and payment must accompany each entry. Entries without accompanying payment will be excluded from the contest. The contest is for song lyrics only — music is not required. The song lyrics must be the original work of the writers, and must not be the subject of a publishing deal. All copyright remains with the writers. Entrants must not infringe on existing copyright. In signing the entry form the contestant agrees that WAPI is not responsible for any such infringement that may occur and indemnifies WAPI against any legal action that may arise as a result of any breaches of copyright. All entries must be submitted on line, contained in the body of an email, sent to <wapoets@gmail.com> with Song lyric contest entry in the subject line. Please do not send attachments. The deadline for entries is midnight Western Australian time 16th July 2012. Well, I'm in a 1A area for direct action for heart attack victims. How about you? Take a look at the list linked in the following article. Interesting research to all of us, especially in the older age group. Mind you, living in a city near major hospitals and highways to them, could be a contributing factor! The Tuesday salon continued with the provocation by J M Coetzee (henceforth John). This took a quite different line and rather than looking to define the distinctions between fiction and memoir concentrated on what it is that makes a true life-story. Or rather what it is that might make a 'true-life story'. Or rather on what it is that might make such a story true or untrue. He recalled that the best 19th century novels offered us characters that war both unique yet typical. He talked of a project that collected people's life stories. The title suggested six million till recently, now it talks of seven million. What were all these stories, he wondered. What makes them stories and what makes them lives? In order to demonstrate this he gave us the story of Nancy as an example (it might have been a story he invented, it might have been one he heard). To put it very briefly, Nancy wants to go to art school and be an artist but her father insists that she do something 'sensible' and safe and she finishes up in a miserable and frustrating job. She is so depressed by this that she takes a friend's advice and goes to a recommended therapist who hears her through and finds - or suggests - that the ban on art was not her father's but her mother's. Having understood this as the truth Nancy feels a weight drop off her shoulders, goes away happy and enrols at an art school. Where was the truth in this, John asked. Did the mother have a 'story'? Did the father? Was the point of truth to liberate Nancy and improve her life? Was her 'truth' a refutation of her mother's? Or was it a case of one relative truth, or lie, displacing another? Is what we think of as the right kind of story one in which the central figure triumphs over a personal problem? He wondered whether objective or scientific truth might be allowed to exist. Are our life stories ours to compose? Are we the authors of our own life stories, and if we are, are we also the authors of their truth? [Again I wondered about frames and conventions. I remembered - and mentioned - a film noir of 1948, later a TV show - Naked City, that began with the tag-line: 'There are eight million stories in the naked city'. If Nancy's was an exemplary story of redemption (as she believed it to be) was Naked City a set of exemplary stories about crime. In other words was it not so much a matter of believing what we want to believe about ourselves as redeemable individuals, but of a location where struggles between order and disorder, good and evil, may take place? Could we then think of other such frames or locations where the 'rules' or conventions of the frame inform the nature of both story and truth. The detective's task was to solve an external crime: the therapist's to improve an inward perception of life. Was the problem of Nancy's life, in 19th century novel terms, that it was not unique enough, that it was posited as over-typical, and hence false? Might it be - to return to Gillian's idea of the resistant reader - that what we trust in is not the evidential truths related by the teller but the language of telling? That we trust the tellers, as we trust them, at the time? The discussion moved around ideas of objective truth. Some felt it existed ( i.e. gravity is an objective truth, not a story about things falling), others claimed that what we have are stories about stories that lead to objective truths. The relativisations of the postmodern mind can defer the precise position of objective truth almost indefinitely. Fortunately we did not spend much time arguing the point. The evening readings by Anna Funder, Tim Parks and John Coetzee himself crystallised some of the issues so perfectly I want to write a separate post just about that. It will follow this one. When you have time, take a look at this. Interesting as always. Well, to me anyway. Some don't value him, others over value him. I keep track of Ron Silliman as much as I can because he always gets me thinking - and ain't that a good thing?! 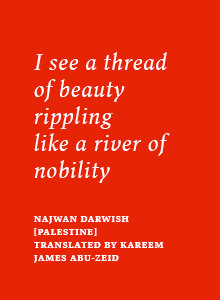 When do you consider a translation of a poem to be complete? The short answer to this question is never, and I shall illustrate this by explaining how I tackle my long-term project: the translating of the entire poetical works of Lucebert. 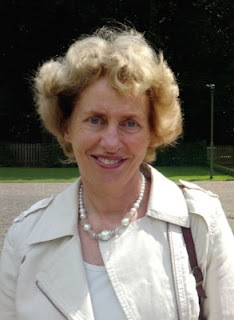 Once I feel that the translations are as complete and as correct as I can make them they are simultaneously forwarded (a collection at a time) to an expert in the Dutch language and to an experienced literary translator. These two men, who do not know each other, deliver their independent handwritten comments and feedback on the hard copies I supply. I then go through all the poems again in the light of their suggestions. After that revision phase, the whole collection goes on to the professor and Lucebert specialist involved in the project. She goes through everything with a fine-tooth comb. That produces another battery of comments and sometimes some pretty hefty discussions as well. 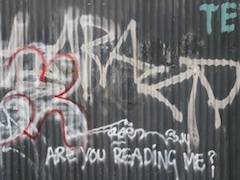 Once that has been processed, I call the translations ‘complete’, but deep in my heart I know that as long as future readers of these translations have significant and valid points to make about the word-choice, phrasing and so on, the work can never really be termed complete or finished. It has also occurred to me that the fourth and final volume might require an epilogue or afterword highlighting matters that have only come to light after the first volumes have been published. In one respect, one can speak of completeness from the point of view of being fairly content with the version produced at the time it goes to print. In another respect, as long as another translator, language specialist or enthusiast can improve on things it is doomed to remain work-in-progress and thus incomplete. The vast horizons of Western Australia easily encompass the distinct regions of the Kimberley which is as far north as you can go before reaching the Timor Sea and the wheatbelt … [ED: Review of wheatbelt book deleted from this posting. 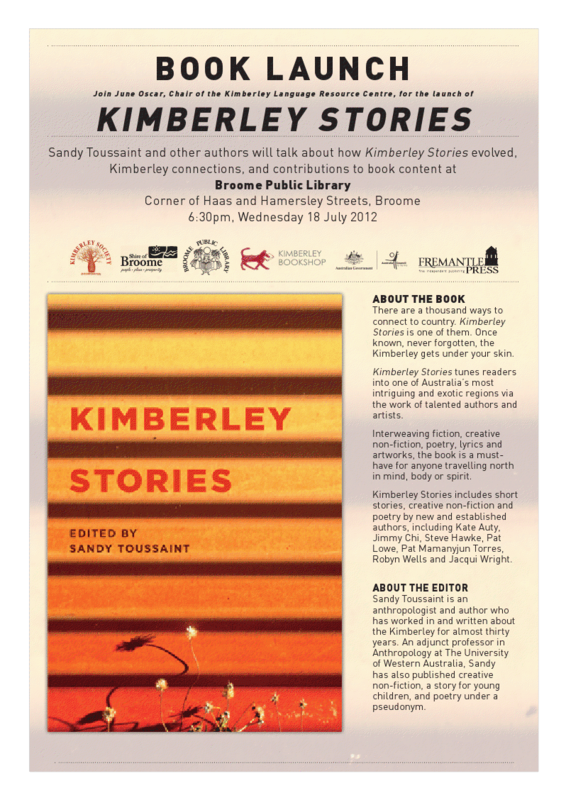 ]Anthropologist and author Sandy Toussaint knows the Kimberley well, and her charmingly kaleidoscopic collection of local fiction, non-fiction, scraps of memoir and poetry includes work from indigenous and non-indigenous writers. 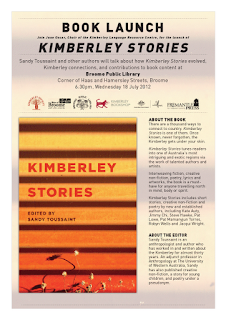 The Kimberley is a scarily beautiful place with an exotic blend of indigenous and non-indigenous personalities, and Toussaint does well to capture this diversity with a range of contributors that reflect fascinating links between where and how we live, and who we become as a result. Pat Mamanyjun Torres is an indigenous woman from a family of traditional owners of lands around Broome. She writes with seductive wisdom about the indigenous notion of a sacred earth, and why such ancient belief is still relevant to 21st-century technology. -The Dreaming is about our religion, laws and rules for life. The Dreaming is both past and present; if we grasp it with both hands, and with our minds andmspirit, it can influence our future; it is circular, a never-ending concept of time. The knowledge of our early peoples, our dreaming ancestors and the interrelated connections through our individual rayi-spirit child, its jalnga or power, and boogarri its dreamings is what makes us unique beings." 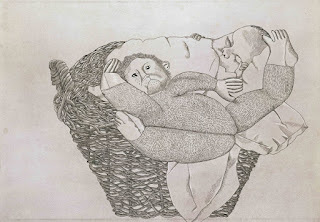 Pat Lowe is an English woman who migrated to Australia in 1972, becoming a psychologist in child welfare before discovering life with indigenous artist Jimmy Pike, with whom she lived in the desert for three years. Her story about a crippled seagull invokes a vulnerability shared between all living things. Murray Jennings, poet, short-story writer, broadcaster and journalist, describes a likeably larrikin bush funeral, and first-time published teenager Luisa Mitchell uses her "all big and dirty" feet to take "good old Kimberley over Perth any day". 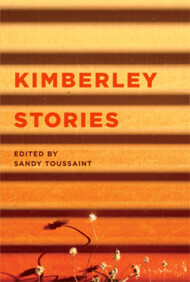 Toussaint says this collection of Kimberley stories "explores the intricacies of nature, pockets of social distress and disquiet. and reflects humour, joy and hopefulness". I agree, and suggest there is not a lot more any reader could reasonably expect. Highly recommended. 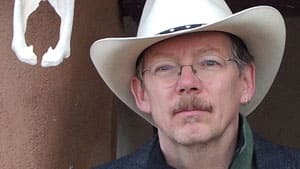 Perth, Ont., poet Phil Hall has scooped up another honour for his collection Killdeer – the $20,000 Trillium Book Award. were announced Wednesday night in Toronto. 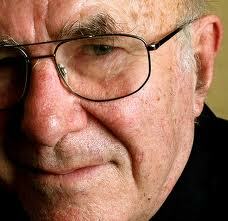 Australian broadcaster Clive James has admitted that he has finally lost his long-fought battle with leukaemia. The 72-year-old told a BBC Radio 4 programme that he has "almost died four times" since being diagnosed with the disease two-and-a-half years ago. I swore to myself if I can just get through this winter, I’d feel better. And I got through the winter and here it is a lovely sunny day and guess what, I don’t feel better. I’ve been really ill for two-and-a-half years. I was diagnosed with leukaemia then I had COPD - which is a fancy name for emphysema - and my immune system packed up. And that’s just the start. James was treated at Addenbrooke’s Hospital in Cambridge for chronic lymphocytic leukaemia, a form of the disease which progresses slowly, as well as chronic obstructive pulmonary disease, which makes it increasingly harder to breathe. James moved to England in 1962 and studied English at Pembroke College at Cambridge, where he became ­president of the Footlights drama club. In the Radio 4 interview, due to be aired on Saturday at 8pm, Clive talks emotionally about the dad he never knew, who survived life as a Japanese prisoner during the Second World War, only to die on his way back home to Australia. I never saw him, I think I was in his arms as a baby for about a day before he sailed off. Daystar Academy is a bilingual, kindergarten and elementary school catering to both Chinese and foreign families. The school, founded 10 years ago, has 230 students and 60 foreign and local staff. We emphasize development of children’s nobility of character, academic excellence, and parallel development in both English and Chinese through a half day English Montessori and half day Chinese program. We have six elementary Montessori classes each with up to 30 students. Three Montessori teachers are from North America and one is local Chinese who gives all instruction in English. We are recruiting two Montessori Elementary teachers for elementary. The position starts in August. We offer competitive conditions. All That I Am by Anna Funder (Penguin) has won this year’s Miles Franklin Literary Award, presented tonight at a ceremony in Brisbane. All That I Am was selected for the $50,000 prize from a shortlist of five, which also included Blood by Tony Birch (UQP), Past the Shallows by Favel Parrett (Hachette), Foal’s Bread by Gillian Mears (A&U) and Cold Light by Frank Moorhouse (Vintage). Judges’ notes for the shortlisted titles can be found online here. Reviews of each of the shortlisted titles are available here. The 2011 Miles Franklin Literary Award went to Kim Scott forThat Deadman Dance (Picador). Scott delivered the 2012 Miles Franklin Literary Award Oration at Curtin University in Perth in May. Australian novelist and well-known conservationist TIM WINTON reflects on how the south-west coastal town of Albany shaped his life. The gentle man of the wild seas talks openly on the ABC program 7:30 Report, aired last week. Read up! There's more in store - Mail order is a wonderful thing for obscure titles. Ai Weiwei would be an interesting artist (and architect, designer, thinker) even if he hadn’t attained superstar-dissident status. Of course his greatness as an artist may partly have come out of his rising to meet the challenge to freedom that the Chinese state represents. This book gives an idea of the development of some of his main ideas & constitutes one of the more significant blogs in the world. Various short biographies: from contemporary Australia, from Italy & from ‘elsewhere’—mostly artistic, bohemian or otherwise interesting, louche, aslant or tragically off true. Peter Robb is remembered particularly forMidnight In Sicily& his life of Caravaggio. Major Adelaide artist long resident in the UK: Platten’s book presents the outcomes of some research into bodily self-image, the text explaining something of the background & intentions behind the research & behind its methods. The images come from the workshops conducted: people’s drawings—often with eyes closed—of how they imagine the interior of their mouths to be. So, art as a tool for investigating attitudes to eating, food, pleasure, self-denial etc. Statements about & history of, studio practice—studio as world, environment, production workshop, place for thought & research, for refuge & fantasy, for “a cigarette of tea & a bit of a think” (as per Guston), as an ‘empire’ (Anselm Kiefer, say). Another in this very persuasive series. Gus Flaubert’s delighted scorn & wearied hatred of the cliché, the platitude, the borrowed and unquestioned idea of the ‘right thinking’ personage. He collected thousands of them — & a selection has come down to us published as The Dictionary Of Received Ideas: a catalogue of pompous, thoughtless convictions & prejudices masquerading as evident truth & ‘insider’ knowledge. Maintain your rage! Flaubert did. Thanks to Halvard Johnson for this one. 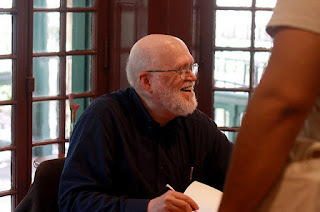 After a professional career mostly in radio broadcasting and training, and writing short fiction and poems in his spare time, Murray Jennings retired to write his third novel. He has nearly finished it and hopes it will be the first to be published. He has a wife and grownup family, all of whom are extremely talented, so he tends to live in their shadow, which is fine, because he's always been a night person. Allan Padgett has written poetry on and off - mostly off - ever since he was an angst-ridden teenager in country Victoria in the 60s. Now that he has grown up [sic...ed] and retired, he has found the time and inspiration to write regularly. Tue 19 June: Readings from 'Sandfire' at Crow Books. Chris Konrad, Flora Smith, Rose Van Son. 6:30 for 7pm at 900 Albany Highway, Vic Park. Free entry. Nibbles & drinks. Sun 24 June: Perth Poetry Club at Nedlands Library: Andrew Burke, Tineke van der Eecken, Danny Gunzburg, Keren Gila Raiter, limited open mike. MC Neil J Pattinson. 2-3:30pm at Nedlands Library, 60 Stirling Highway, Nedlands. Free entry. Refreshments. Fri 29 June: Poems for the Revolution of Love. Poetry and music with JANET JACKSONplus CORAL CARTER and TERRY FARRELL with musicians Larry George and David Kaesehagen. Limited open mike. 7:15pm at Fringe Gallery, 94 Bawdan St, Willagee. $15 including wine, soft drinks, nibbles and a zine. Book now atwww.proximitypoetry.com/Revolution. 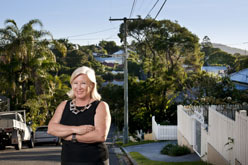 Enquiries to Janet 0406 624 578 /lostpoetjj@gmail.com. Sponsored by Mulla Mulla Press. Fortnightly Fridays: Poetry Pantree from 6pm at Soul Tree Cafe, 5/3 Railway Parade Glen Forrest. $5 entry; or $25 for entry plus organic dinner & dessert. Contact Jazmin9298 9997. Adelaide Cabaret Festival pays tribute to the Velvet Gentleman: eccentric genius, bad pianist. When Erik Satie died in 1925, those closest to him were shocked to discover that the dapper French composer had lived in a filthy, threadbare room with to which he hadn’t admitted a single visitor in 27 years. Now a museum dedicated to his life and work, the dingy apartment was once strewn with hoarded umbrellas and newspapers that almost completely buried its most striking feature: two grand pianos placed one on top of the other, the upper instrument used as storage for letters and parcels. It was at once a haven and a prison for Satie, a secretive, introverted alcoholic who died from cirrhosis of the liver. One of many mysteries about his life is how the self-styled “velvet gentleman” managed to keep up appearances, emerging from his squalid hovel so immaculately groomed (always in one of seven identical grey suits purchased in 1895 with part of a small inheritance) for the daily 10km stroll to his favourite cafés and local haunts in Paris. But Satie’s status as a cult figure today goes well beyond the cabaret tunes, the ethereal floating of the Gnossiennes and Gymnopédies and the quirky Cocteau-Picasso ballet Parade. His sonic experiments anticipate those of iconoclast John Cage and the American minimalists almost half a century after the Frenchman’s death: the 841 melodic repetitions of the aptly named Vexations and the tongue-in-cheek Trois Morceaux en forme de poire (Three Pear-shaped Pieces) and Flabby Preludes for a Dog, among others. The Velvet Gentleman plays at the Adelaide Cabaret Festival June 15–17. Satie is Composer of the Month in the June issue of Limelight. The early art of Lucian Freud showed vast talent and incredible variety. Read about it HERE. A new opportunity for prose writers working in longer forms. In the print issue, it's often hard to find space for longer stories and novellas. With electronic media, though, we now have an opportunity to consider new kinds of work. Pshares Singles will be a venue for longer works of prose—stories of 9,000 to 12,000 words, and novellas of 30,000 to 60,000 words—chosen by our editors. Singles will be available on Kindle, Nook, and from our own website: $1.99 for stories and $3.99 for novellas. (Authors still get paid and retain rights to their work.) The first Single will appear in July—"The Lady of the Burlesque Ballet," Timothy Schaffert's surreal fairy tale about obesity, murder, and the theater. Note: If submitting online, make sure you identify the genre as Pshares Singles (it is at the bottom of the drop-down menu). If by mail, please mention it in the cover letter. We look forward to reading your work! Patricia Hampl's Fall nonfiction issue is almost complete, and features work by Charles Baxter, Mary Gordon, Lynn Freed, and our first-ever graphic essay by the artist LK Hanson. Our only previous all-nonfiction issue, guest-edited by Kathryn Harrison in 2009, is now available as an e-book, along with the issue edited by the poet Jean Valentine. Copyright © 2012 Ploughshares, All rights reserved. First time flying a glider!